Half Waif is the project of Nandi Rose Plunkett, based in Brooklyn NY. In the home of her Indian mother and Irish/Swiss/American father, Nandi grew up listening to a mix of Joni Mitchell, Tori Amos, Celtic songstress Loreena McKennitt, and traditional Indian bhajans. In college, she studied classical singing and became enamored with the inventive works of Olivier Messiaen and Claude Debussy. A lover of synthesizers and pop tunes, her resulting work as Half Waif features richly layered compositions of various origins. Placeless, and yet the product of many places: the imaginative wilds of Northern Massachusetts; Ohio's stark fields; Brooklyn buzzing at night; and ancestral homes across the ocean. As Nandi tells it, “Half Waif was born at a time when all my identities were fracturing and shifting. A waif is someone without a home, but here I was with too many homes, a half waif by virtue of feeling unattached to any specific place, but to many places at once. I took up the torch of Half Waif to make sense of all of the sounds and stories that have made me." Indeed, Half Waif brims over with sounds: underwater echoes of Celtic melodies; mossy, blinking electronic soundscapes; and the ultra-sad chord changes of 19th-century art music -- a carefully crafted glass menagerie of song. Half Waif's first release was a split 7" with avant pop heroes Deerhoof. Her debut LP KOTEKAN, released in July 2014 and produced by Devin Greenwood (Mirah, Anais Mitchell, Sufjan Stevens), is a kaleidoscopic blend of contemporary classical music and experimental pop, with melodies that range from Top 40 pop to ancient Celtic/British folk song. 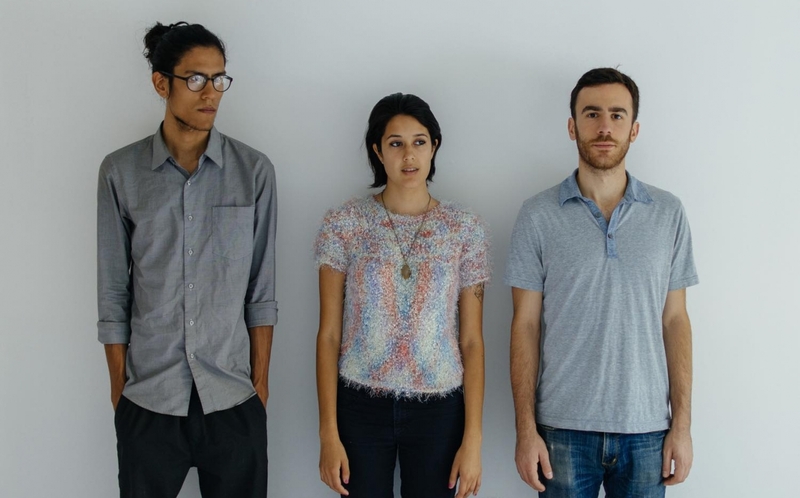 With the addition of bandmates / longtime friends Zack Levine and Adan Carlo, Half Waif's compositions have taken on a more immediate pulse live, rooted in the meeting of acoustic and electronic elements: booming drums & bass surging against a textural wall of pitched digital blips & sparkling synths, creating a lush sound that belies their compact trio format. The project released its second full-length album Probable Depths in May 2016, an ambitious collection that boldly displays Half Waif's unique brand of mood ring pop. The trio has since toured nationally and will make their debut in Europe in early 2017.